Certainly, you are quite aware that various movies meet various needs for viewers. Some movies are exclusively horror-like, others are comic, while some others are romantic. There are also some movies meant for motivating and enhancing the creativity of their viewers. 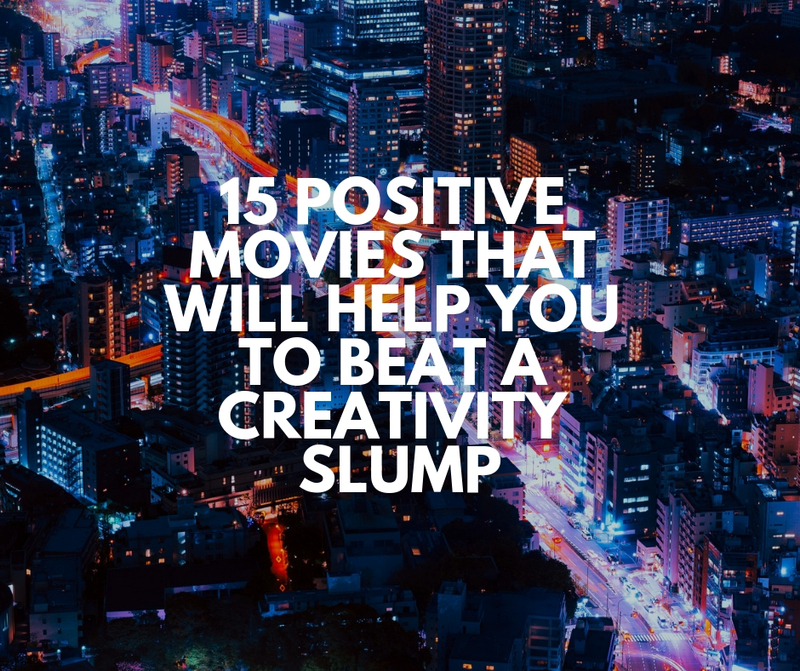 These movies would help you get a positive mood and we would briefly discuss fifteen of them here. Relax! Are you able to dream? Even if you can, Goal will still challenge you to dream more. How Santiago Munez, gardener-turned-footballer, achieved his dreams is sure to show you can maximize every stuff you are made of. The film features Jiro Ono who stars as a restaurant proprietor and sushi chef well-known for his dexterity and expensive dinners. The movie tells us how Jiro follows his manager about, manages his workers and attends to vendors just to ensure he lives a better life. The movie teaches viewers on how lasting dedication and passion for value can be rewarding. This is one of those movies that cautions you to look out for the red flags in business. The storyline is a thorough look into the escapades of a one-time energy company, Enron, which was valued at about $70billion but liquidated in 2001. The movie helps you see into the most likely causal psychology and collapse of great business outfits. The collection consists of ten reputable TED lectures which provide hints and directions for making it in life, career and business. These collection of success stories from TED organizers drawing bigwigs from the field of psychology, technology, research, finance and more would make you tap from their great stream of knowledge! Even professional assignment writing experts also tap from TED lectures to produce best results. Based on the works of Stephen Dubner and Steven Levitt, this 2010 film gives you an effective exploration of the economic and scientific concepts behind why humans behave the way they do. It is highly motivational! Be you a customer, coworker or employee you’ll love to see it. This is another movie in the bag for you. Sure! A hitherto, not-so-successful Peter desiring to play for the last time at the Wimbledon tournament, meets Lizzie. After a number of weeks as the games proceed, they became so intimate and fell in love. The love between them rather improved them. This is a film that gives you an eyes-on experience of that great manufacturer of automobiles called Ford. The film depicts to you how much you can assume any height of greatness from whatever level you may seem to be. Can you really tell about how little Henry, a farm house boy, turned a mogul in little time? If you cannot you need to watch this movie! Life sets Quincy and Monica apart when, over the years their friendship had become a genuine feeling. Quincy becomes a sport pro and forgets his girlfriend. However, they met again. The story line shows us a real and strong bond of love between two folks. The filmmakers, through that great guy, Steve Jobs, show you how an inspiring job, long-last legacy in technology and its marketing and the heroic presentations of the product goes a long way in determining anyone’s chances of becoming a wannabe entrepreneur in today’s economy. This chronicles the adventures of successful and productive venture capitalists. They either through good luck or sheer ingenuity built and developed one of the early-bird technology companies like Atari, Apple, Intel, and Google. The film gives you a front-row account on how the power of investment and technology can help change the face of modern businesses. Enjoy! Just like you could hire a writer for your paper needs, this movie relays to us how Shavitz started as a hire – a young photojournalist in NY City. Shavitz however made the business a multi-billionaire brand. You can also see how the complicated relationship with co-founder Roxanne Quimby made the enterprise of Shavitz to fizzle out and its eventual acquisition by Clorox company. This movie takes you into viewing experience of the emerging 3-D printing enterprise. It shows you how Formlabs and MakerBot both vie to be the subsequent tech companies producing everything – be it footwear, handguns or human organs. This is a movie that shows you the great cost behind running great businesses in America. It reveals to us how Wal-Mart began with negative trends like under-employing their staff. However, since the debut of the movie, it shows again how the American tech company recorded drastic changes. The story line has a controversial side to it though. This is a warm motivational movie that challenges you to chase your dreams and follow your passion, no matter tower-like they maybe. The film features four men who prepare for some master sommelier paper. Even if they seek some assistance with Brill Assignment Help, their passion at preparing for the papers overtakes them and consumes those around them. Many researchers like those from Proessaywriting can say much about issues relating to striking a balance between the desires of corporations to maximize profits and the need to guarantee the health of their consumers and the well-being of their environment. This movie captures everything fully. If you desire to spur yourself towards creativity and motivation you may relax with these movies. Though some movies are not entirely positive, they yet enhance you. You can also order movie reviews papers to write some positive contents and shoot them as movies with videographers. Tiffany Harper is an experienced freelance writer working with Essay Writing Lab, essay writers, Brill Assignment Help, Proessaywriting, Term Paper Service Australia and College-Paper. She found herself in writing very early and still improves her skills. Tiffany likes to write during traveling and meeting new people. You can find her on Twitter. 2019. positivewordsresearch.com. All rights reserved.